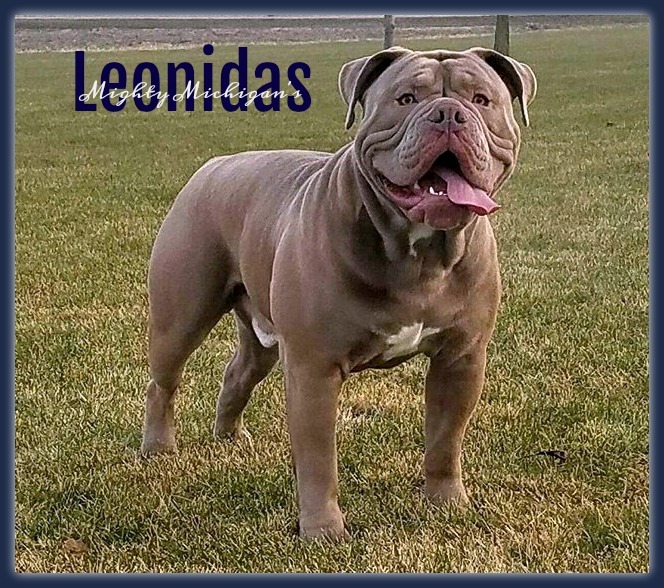 Leonidas is a lilac Olde that carries the tri gene. He definitely has the WOW factor – muscle mass, bone, and structure! Leonidas loves to do yoga with his momma, play with his other brothers, and snuggle with his family. He is the spitting image of his sire, Spartacus, who has produced amazing litters for us. We are very excited that Leonidas will follow in Spart’s footsteps.